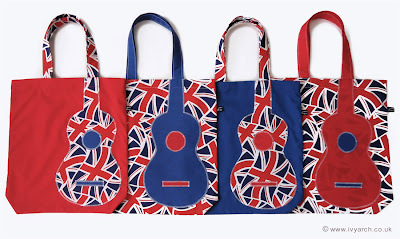 Looking for the ideal book bag to see you through the Diamond Jubilee, the London 2012 Olympic season and beyond? 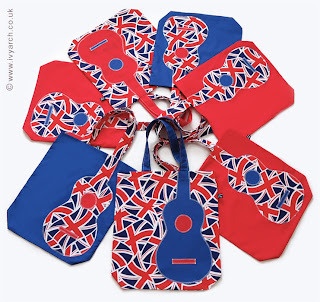 Then look no further, for the Ivy Arch Jubilympic* ukulele tote bag is here! 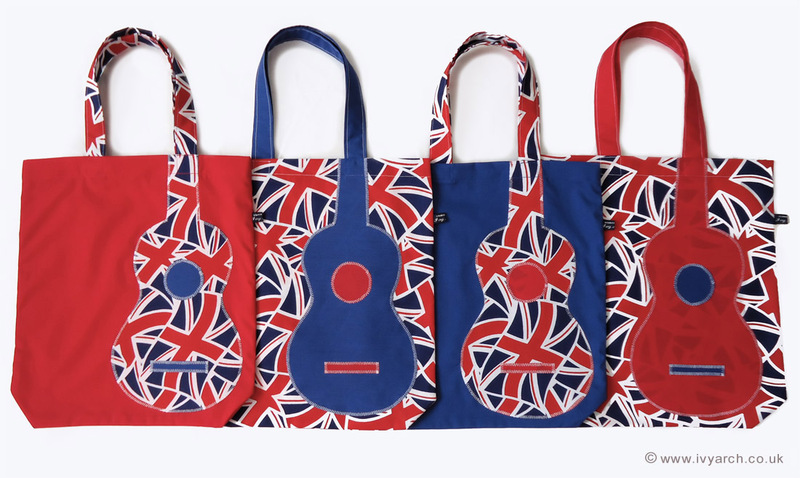 These four new appliqued book bags are neatly sewn with secure and durable French seams inside. Their strong carrying handles make them perfect for carrying A4 books or magazines and of course they're ideal for transporting your Wukulele songbooks. Available now from the Ivy Arch Etsy shop. No street party celebration will be complete without one. *If you missed this week's Jubilympics episode of Twenty Twelve and have no idea what I'm talking about, catch up now on BBC Iplayer.